The kitchen is one of the most important rooms of the home and, as such, it deserves to be treated accordingly. This room has often been described as the heart of the home, where people go not just to make food but to seek warmth, shelter, company and conversation. Similarly, the dining room is also important. Although some homes have built-in kitchen/diners, the tradition of sitting down together as a family to eat your evening meal is one that many households still uphold today. So, we all know that these two rooms are integral, but how should we go about furnishing and decorating them? 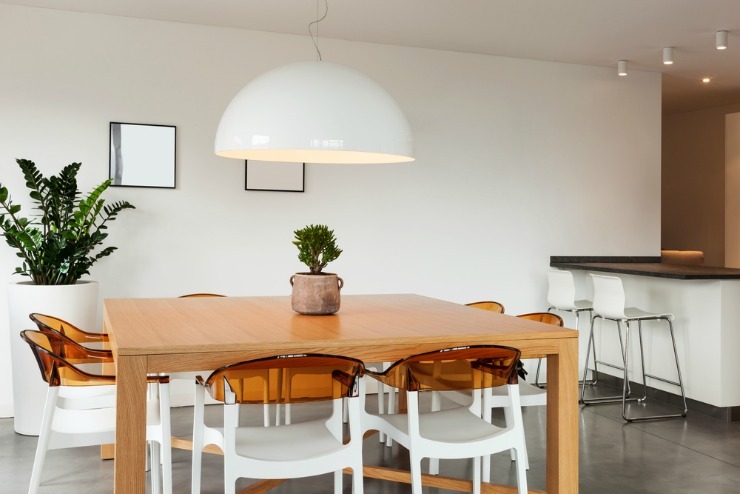 Whether you are looking for an update to refresh the look and feel of your home or have just moved into a brand new property, here are some must-have essentials you should be sure to incorporate into your home. Pots, pans and utensils – the bread and butter of the kitchen. 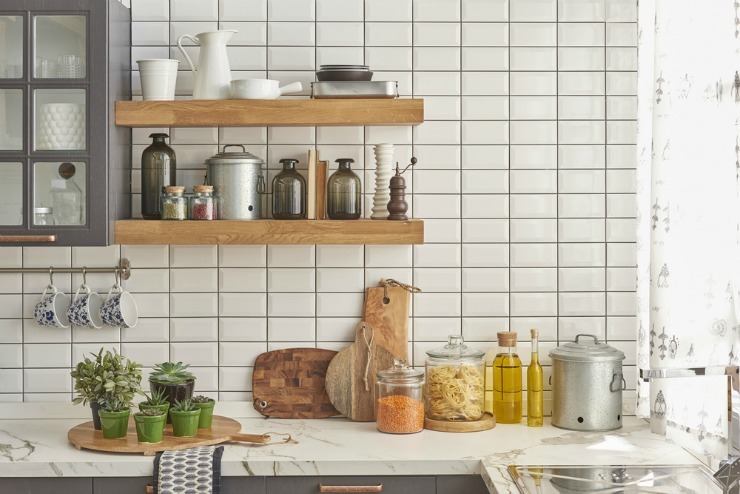 Many homeowners end up hoarding cookware, resulting in cupboards being filled with old items and bits and pieces that are no longer in a usable condition or, at the other end of the spectrum, have never even been used. Instead of this, now is the perfect time to spring clean your kitchen and work to create a cleaner, tidier living environment for the whole family to enjoy! Simply work out which pieces of cookware you actually use on a regular basis – these are your kitchen cookware must-haves. In the kitchen, your crockery is one area where you can really push the boat out in terms of uniqueness. Colours, patterns and designs are entirely your own choice, allowing you to get creative and make the most of the styles that are available to you. Don’t be afraid to mix and match contrasting colours or patterns for a truly unique crockery collection, either! Although there are certain essentials that every kitchen needs, there’s no reason not to get creative with your choices and do what you can to make the most of your individuality. Small appliances like toasters and kettles can often be colour matched, allowing you to create a greater level of uniformity throughout your kitchen. Of course, it almost goes without saying, but one dining room essential is a table and chairs. Even if you don’t sit down for a family meal together every night, you will still need somewhere to enjoy your meals. While the size of your table and chairs will largely depend upon the amount of space available and the size of your household, you can get creative with the style, design and finishes. Whether you prefer traditional or contemporary, subtle and muted or bright and bold, the choice is entirely yours! If you have the space available for a larger dining table, then it may be nice to pick out a centrepiece to take pride of place on the table. From plants and vases to ornaments and candles, pick something that works for you and the space you have available. It can make a nice touch to try and coordinate the colours to other items in the room, such as curtains, lampshades, carpets or the shade of the walls as this will create a more complementary feel to the room. If you are a wine connoisseur, the chances are that you will have built up a wine collection of your favourite bottles over the years. If this is the case, you need somewhere safe and secure to store them – contemporary wine racks are ideal. If you have enough bottles, you could even make the rack into the focal point of the room and pick a stylish design which draws the eye to really make the most of the piece. Of course, every home is different, and everyone prefers to decorate and furnish their homes in different ways. As with any home improvement project, the most important thing is to go with what you are happy and comfortable with – don’t be afraid to let your individual personality shine through your home. The kitchen in our house is one of the most used rooms and I love my gadgets so can never had enough of them. Your suggestions are great ! Our kitchen needs a substantial amount of renovation and there are some great ideas here Mel. Do I get brownie points for having a wine rack? Which actually still has some wine in it?